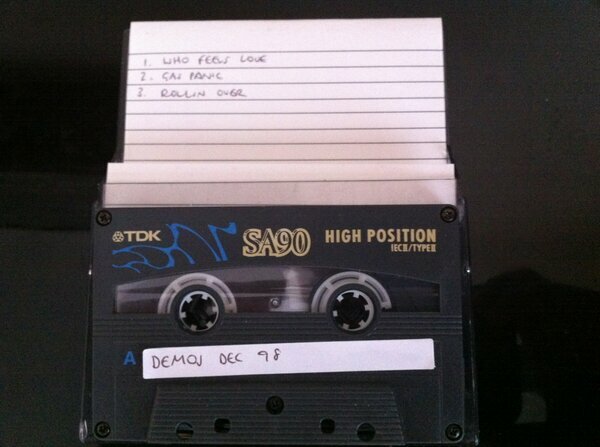 ‘Demos 1998’ – a cassette tape sold online in 2013. These songs were recorded in Noel’s home studio at Supernova Heights and at Wheeler End Studios with the assistance of Mark Coyle and Paul Stacey between 1998 and early 1999. 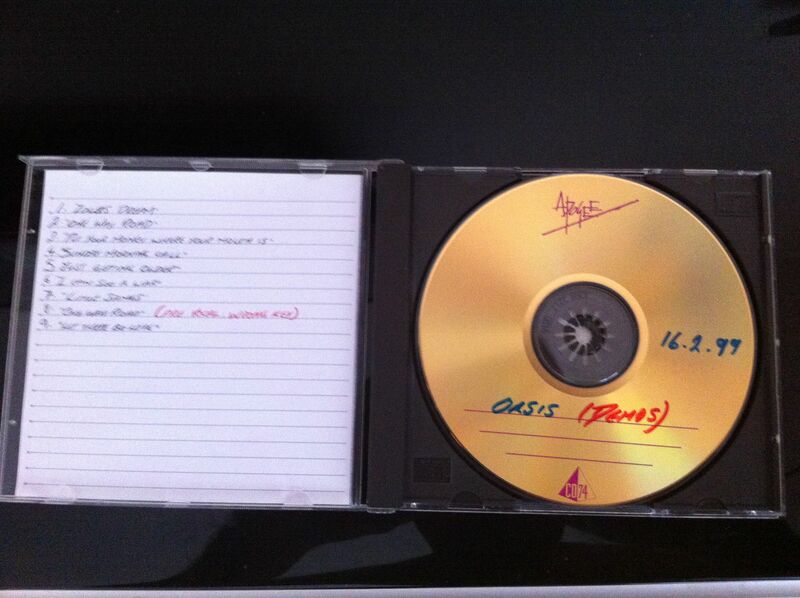 All tracks are sung by Noel with the exception of Little James which is sung by Liam. ‘Demos Dec 98’ – a cassette sold online in 2013. 15 tracks were leaked onto the Internet via a private FTP on the 31st January 2000. ‘16.2.1999 demos’ – A CD sold online in 2013. Available on the 2000 Japanese ‘Who Feels Love?’ single. Listen to Noel briefly speak about this demo in an interview for RTE 2FM, Dublin on the 22nd February 2000 here. The original version of this demo featured a sample from the film ‘Austin Powers: International Man Of Mystery’. However, when this demo was released officially on a Virgin Megastores exclusive CD, this sample was edited out, most likely for copyright reasons. Noel claimed in an interview on RTE 2FM, Dublin on the 22nd February 2000 that Liam had demoed this song with Steve Craddock and Paul Weller. Whether it’s this particular demo or not is unconfirmed. An instrumental version, in a different key to the other demo, and to he final version released on the 2000 ‘Who Feels Love’ single. It was played as the intro music to Noel’s appearance at Liverpool’s Zanzibar Club on 3 May 2003. Noel talked about this song in an an interview for the Chris Moyles show on BBC Radio 1 on the 4th July 2002. Listen to those comments here. After years in the wilderness, the song was reworked by Noel for his 2015 album ‘Chasing Yesterday’. This is a fantastic site. And one of the only places I can find that refers to the original demos for SOTSOG. The one I have clear memory of from when the demos leaked was Where did it all go wrong? The version I heard was quite different from the album or other more widely available demos. It featured a flute part, and repeated the guitar solo as part of the fade-out. I’d give my right arm to find that again. Any ideas if it is still circulating anywhere?